Well it’s Fall, my most favorite time of the year. I love the Autumn here in Nova Scotia, with its gorgeous colors and cool crisp temperatures. I love the great night sleep I get… and I love the comfort food that goes along with this season. And with great comfort food, comes great wine! Here are some new ones I ‘ve discovered recently. One of my favorite foods this time of the year is beef done in the crock pot, or slow cooker. 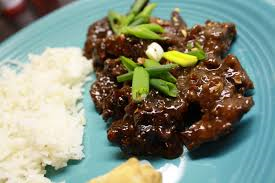 I am not a big beef eater, but I have to say this is my favorite way to have it. And normally, out comes the Cabernet Sauvignon. 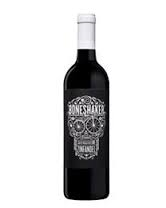 But recently I tried a new Zinfandel called Bone Shaker, and I’m telling you, this wine is big enough to handle the beef. So many people think Zinfandel as light and fruity or medium bodied at best. Not all Zinfandel wines are created equal. This one is big, bold and intense. There is a little bit of Cabernet Sauvignon added, it gives it some structure. But this is no wimpy wine. Fermented in French oak, this baby delivers flavors of blackberry, plums, chocolate, licorice and an oak finish. Not for the weak of heart. I make a mean pulled pork sandwich. I love pulled pork done in the crock pot, especially this time of year. Found a new wine in the past couple of weeks that will go great with it. Patiesserie Grenache, Syrah & Merlot blend. Now if you love GSM, which is normally Grenache Syrah and Mouvedre, like I do, then you will love the combination of Grenache, Syrah and Merlot. It’s got all the great structure of the Grenache, the spiciness of the Syrah, and the Merlot not only softens the Grenache like Mourvedre, it also adds a plump juiciness and flavor that I immediately fell in love with. With pull pork, you have the BBQ sauce and the hickory smoke flavoring, so you know what that means, this wine is also a great wine for BBQ ribs or any other BBQ dish. Last weekend I made a full lasagna from scratch. 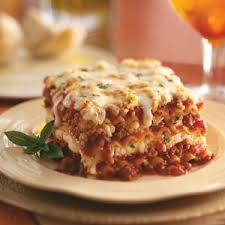 I know it’s Fall when I make lasagna. I don’t make it that often, because I live alone, and you can’t help but make a lot of lasagna. So it’s always a little nerve-wracking when I do make it, but I got to say, it turned out excellent. I love pairing pasta with wine, because there aren’t too many wines that don’t go well with pasta. Now, quick rule of thumb. Pick a wine from the country the food comes from, so Italian pasta, Italian wine…. in either red or white. I love a Valpolicella with lasagna. From the Verona area of Italy, this is also the place where Amarone originates from and of course Valpolicella Ripasso. 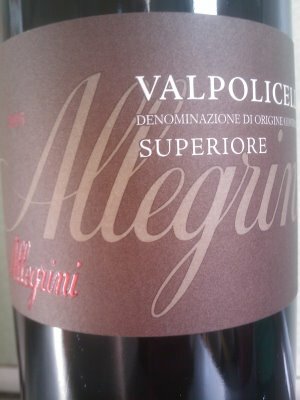 The Valpolicella Superiore, as pictured here, is more full bodied than your average Valpolicella, which can be a lighter wine. The reason being Superiore is aged at least one year before being released and the alcohol content is at least 12% . A Pinot Grigio or a Pinot Gris, as pictured here, would also be a great fit for my white wine loving friends. 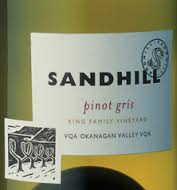 This particular Pinot Gris is not made in Italy, it’s made right here in Canada and the Sandhill Winery in British Columbia. Pinot Gris is a clone of Pinot Grigio, which originates in Italy. I love the spiciness of a Pinot Gris wine, and Winemaker Howard Soon makes a beautiful one at Sandhill. Well that’s it for this week. If you would like any of my recipes from the dishes mentioned in this blog, yes, I cook them all by scratch, by all means contact me. Next week let’s have more fun with comfort food. What’s your favorite comfort food? Let’s have fun matching some wines. This entry was posted on September 20, 2014 at 3:17 pm and is filed under Wine & Food. You can follow any responses to this entry through the RSS 2.0 feed. You can leave a response, or trackback from your own site.